Do you seek more than a disciplined, noble prayer routine, more than a daily prayer or the function of prayer and its benefits? Transform your relationship with God, one that is centered in the heart. Prayer is not something we do, it is someone we are with. And that needs a place! 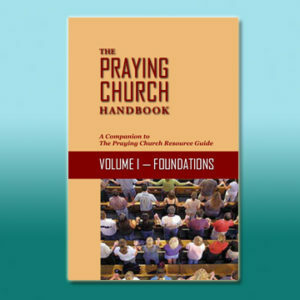 Includes prayer models, suggestions for your prayer room and discussion questions for personal review or group discussion. Doug Small is a prolific writer and has a passion to inspire personal prayer. He personifies one of the most compelling, authoritative, and timely voices on prayer in the Church and culture—nationally and globally. Doug Small has a heart and passion for prayer and unity. He has the ability to speak across denominational lines to the things that unite rather than the secondary things that can divide us. Dr. Douglas Small is providing cutting edge leadership in specifically in Schools of Prayer and his Prayer Impact Sunday events. He is spearheading many national and international prayer initiatives that are impacting and networking the Church worldwide toward the fulfillment of the Great Commission. This book is so simple, yet so profound. My personal prayer life and the corporate prayer life of our church has been challenged, enriched, and encouraged by this resource. As people become more dependent on technology and how they receive information, it has crippled their ability to accurately and patiently research God’s precepts which leads them to use worldly habits in seeking a Holy God. The Prayer Closet takes us by the hand to a step by step journey that transcends us from an ordinary life to His higher calling for us, to have a deeper, richer understanding of a relational prayer life that seeks to fall in love again and again. If there is a quest in your heart for intimacy with God, and something deep within you cries for greater communion with the Father, you must read The Prayer Closet. Like iron filings drawn to a magnet, you will be drawn beyond the veil into the holy of holies – into the garden of God. Doug Small’s passion is contagious…he is a “keeper of the flame” and invites you to burn with him. This is such an outstanding book! This volume is a true “hands on” and practical manual to help us engage in meaningful prayer, before His Throne of Grace. I so appreciate Doug’s insights, too, to help us move our hearts into a true “Kingdom alignment” as we prepare to seek our Father in our own closets of prayer. Thank You, Lord, for this wonderful resource for all of us who are “standing in the trenches” for You! Sacred space. Maybe an actual closet. Maybe a recliner. Maybe a kneeling bench in the basement. The Prayer Closet book provides the “why” behind the power of a sacred prayer space as well as many biblical and practical ideas that can help you commune when you enter the Lord’s presence. If you’ve ever prayed, “Lord, teach me to pray” this book will help fulfill that heart-desire.